Check out the new Easy Avocado Toast Recipe. Last week I was very excited to find 11 new recipes for eggs contributed to the Friday Foodie Fix. I hope with a weeks’ notice that we will have even more ideas for Secret Ingredient, avocados. I love avocados and I’m always looking for new ways to use them in recipes. Remember, these can be past recipe posts you’ve made and you can post more than one recipe for each Secret Ingredient. Why limit yourself to just one. When purchasing an avocado make sure it is ripe. It should be soft when you squeeze it but not so soft one squeeze and you have just made guacamole. If it is not ripe when you purchase it place it in a paper bag for a few days. 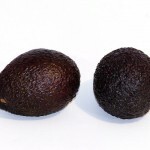 When you cut an avocado, it will discolor fast. It avoid this, squeeze it with a little lime juice. To dice the avocado, make a crosshatch pattern through the avocado being careful to not penetrate the skin. Then you can scoop out the cubes with a tablespoon. To mash, use a fork or a potato masher. You can also use my favorite guacamole tool. My Friday Foodie Fix recipe is Pan Fried Bacon Wrapped Avocados and yes they are delicious. Thank you for sharing your Friday Foodie Fix of avocados with us. It would very cool of you to link this back to your post on avocados too. Here are the rules. Have a great weekend! Next week’s Secret Ingredient is ……………. Asparagus! My husband groaned and asked, “How many people really eat asparagus?” Well, let’s show him! I have a crazy avocado recipe. Sorry measurements aren't exact! fine shredded coconut, toasted would be fun! Peel, cut and smash up avocado. Add coco or carob powder until the avocado flavor doesn't come through. Sweeten w/ stevia to taste, add a pinch of Real Salt, and add a few teaspoons of coconut! I have a crazy avocado recipe. Sorry measurements aren’t exact! Peel, cut and smash up avocado. Add coco or carob powder until the avocado flavor doesn’t come through. Sweeten w/ stevia to taste, add a pinch of Real Salt, and add a few teaspoons of coconut! asparagus? I have NEVEr cooked with it!!! eeks…. better get creative eh? Wow, how cool. I'm trying this for dessert! Don't have Stevia so I'll give my agave a try. Great unexpected us for an avocado. Thank you for sharing! Wow, how cool. I’m trying this for dessert! Don’t have Stevia so I’ll give my agave a try. Great unexpected us for an avocado. Thank you for sharing! Thanks for the avocado instructions. If I get around to buying one, I'll know what to do with it! What's next week's ingredient? Thanks for the avocado instructions. If I get around to buying one, I’ll know what to do with it! What’s next week’s ingredient? yummo- I love the recipe. I've not had krazy janes mixed up salt. Where can that be found? Linda- Let us know if you try an avocado and what you thought. Next week is asparagus. My husband thinks people won't share any recipes because hardly anyone eats it. I hope we show him differently. Shirley- I'm with you on the easy way to fix asparagus. That's the only way my husband will eat it. He doesn't think there is any other way to eat asparagus. Hope we get a lot of contributions next week so he might let me try a few out. He doesn't like vegetables so I usually have to hide them. It's hard to hide asparagus. Thanks for the great comments and recipes everyone! yummo- I love the recipe. I’ve not had krazy janes mixed up salt. Where can that be found? Linda- Let us know if you try an avocado and what you thought. Next week is asparagus. My husband thinks people won’t share any recipes because hardly anyone eats it. I hope we show him differently. Shirley- I’m with you on the easy way to fix asparagus. That’s the only way my husband will eat it. He doesn’t think there is any other way to eat asparagus. Hope we get a lot of contributions next week so he might let me try a few out. He doesn’t like vegetables so I usually have to hide them. It’s hard to hide asparagus. Sorry I'm late to the party, but I wanted to share this new product I found at the store for making guacamole. Sorry I’m late to the party, but I wanted to share this new product I found at the store for making guacamole. yummo–Your recipe is always a winner. Hard to go wrong there! Very nice blog. Lots of great info. Glad to hear there you are a Gluten-Free Food Coach. Sounds like a very interesting profession. 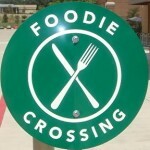 Stop by my site sometime at http://www.gluten-freesimplicity.com if you wish.